The Obensberg viewed from the French approach. Chevert would march through the gap on the far right and attack the mountain from the rear. A few of us were discussing the Battle of Hastenbeck in 1757. 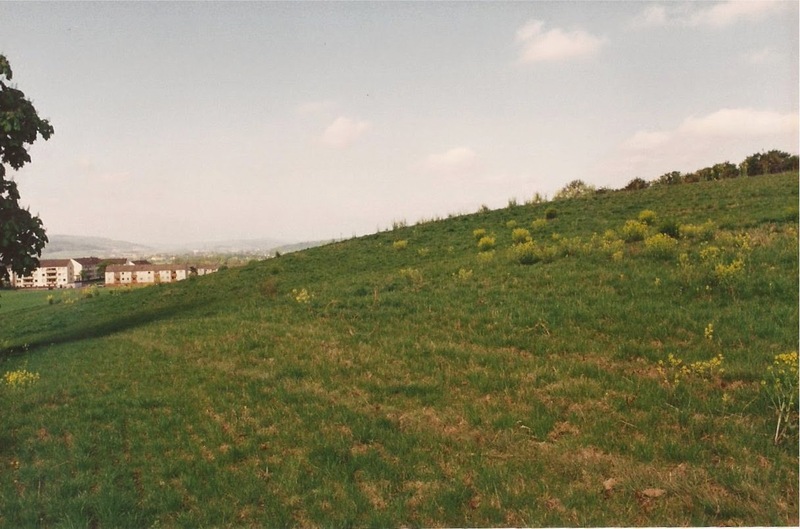 So I dug out some of my old photos that I took in 1994, after the conclusion of the Christopher Duffy Tour of Fredrician battlefields. A closer view of the Hanoverian left flank. Again we can see the gap in the hills through which Chevert marched. Here is a view of the backside of the Obensberg. Chevert attacked the Hanoverian left-rear from here. The ascent does not look as difficult from this side of the mountain. 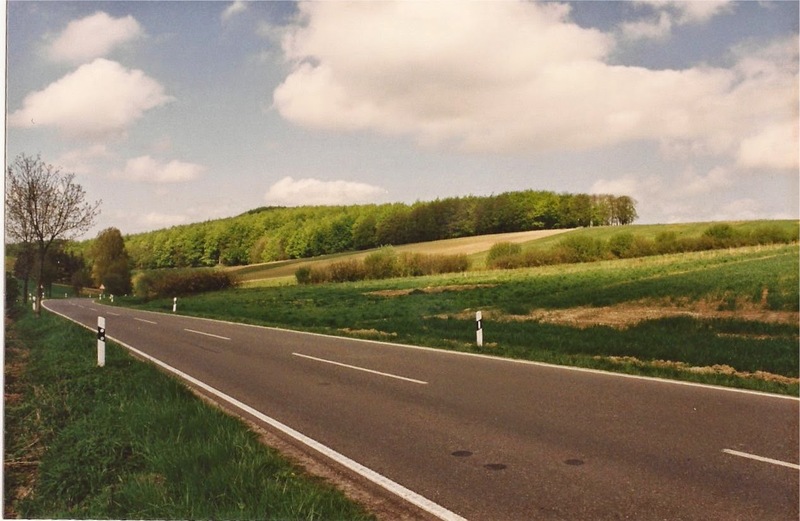 A closer view of where Chevert launched his attack into the Hanoverian left rear. 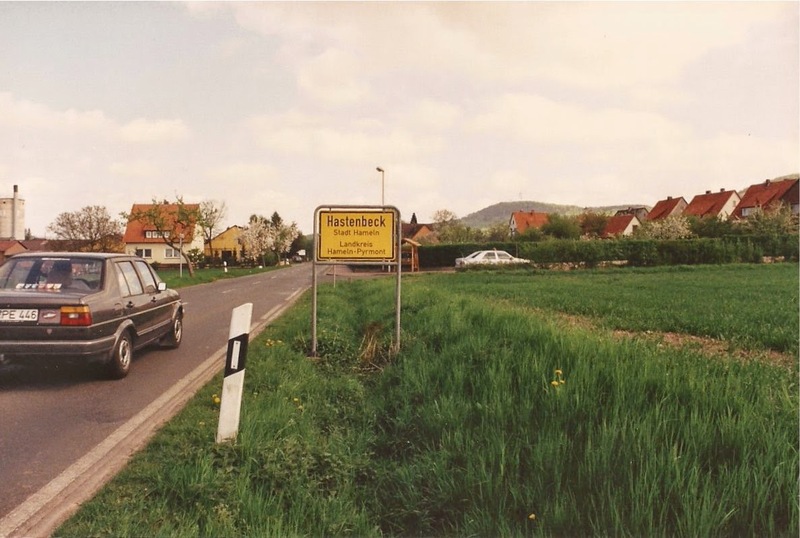 Hastenbeck town. The Obensberg is visible in the background. 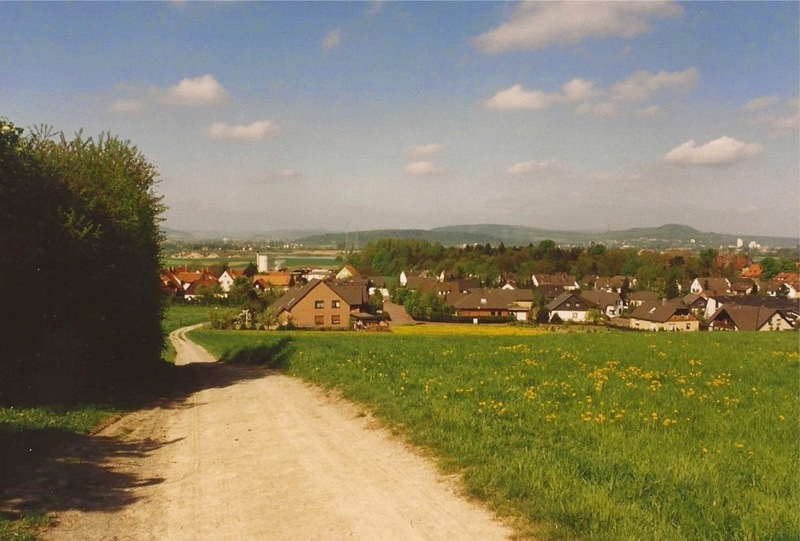 Walking up a farm road from Hastenbeck towards the Hanoverian center. The ascent in the center gets steeper. A view of the top of the ridge after the ascent. 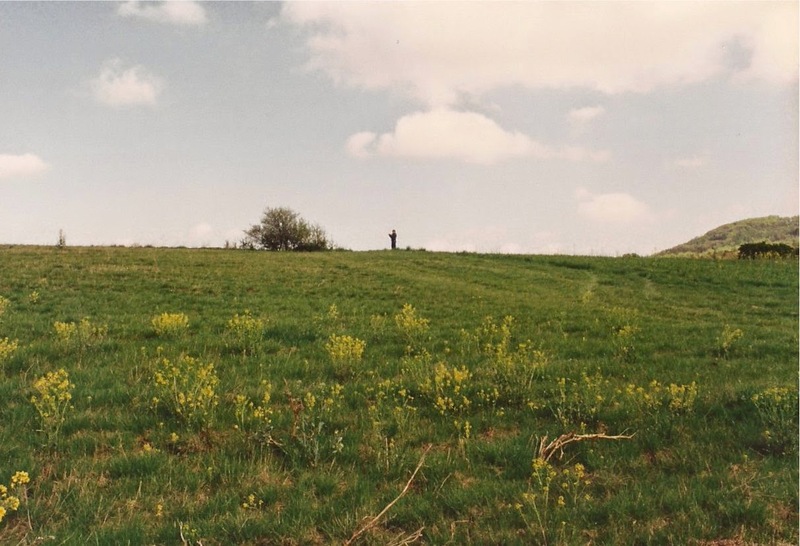 Mike Becker is seen atop the hill for perspective. 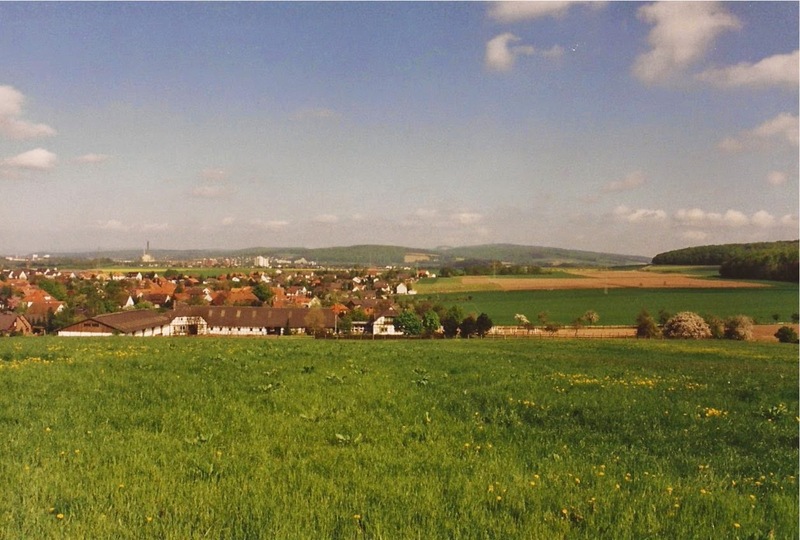 Looking back towards the town of Hastenbeck. You can see the Hanoverian right flank off in the distance on the right near where the thicker group of trees are. The only monument on the battlefield. 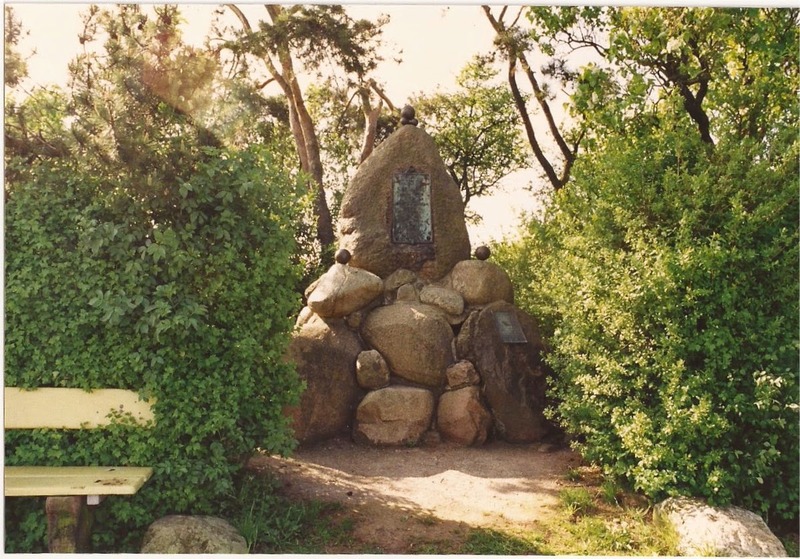 Here are a few pictures that I took at the battlefield of Hastenbeck in Germany, circa 1994.